Meet Barnaby Dragon • Bearded Dragon . org . Hi Everyone - I've never actually been on a forum before, so this is exciting. 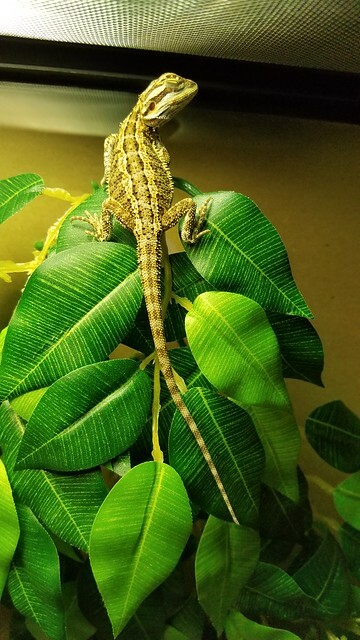 I have researched owning a bearded dragon for a while, mostly using this kind website, and finally found my boy Barnaby Dragon a week ago Sunday. He was hatched 12/19/19 locally here in Chicago. He's a bit stressed and I'm hoping he'll start adjusting soon, because I love him. He's supposed to grow up to be a red beardie. And just for the heck of it, here's my little buddy Puck (named after the hobgoblin in A Midsummer Nights Dream), whom I picked up on 12/15 and who was my gateway into the whole lizard world! 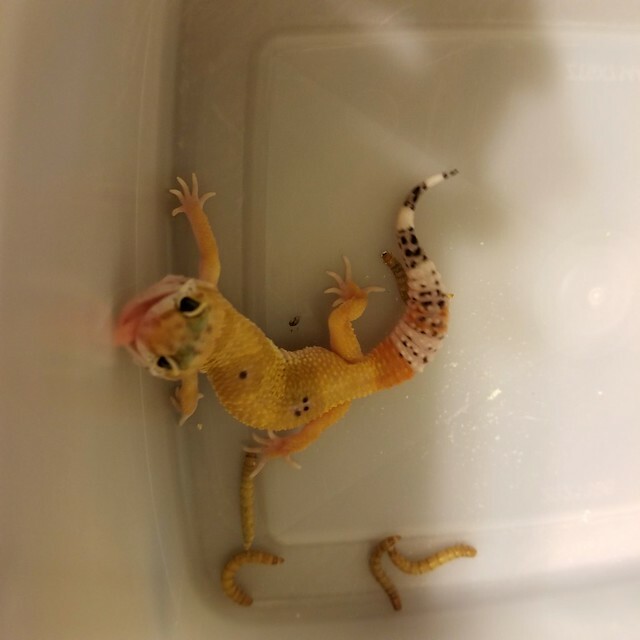 This is an older pic of him; he's lost the bands on his body, the body spots have also faded, and the two orange bands on his tail have gotten more intense. Hey there, guys! Welcome! I've had loads of help from people's on here. Hope to be as knowledgeable as them some day! You've definitely come to the right place for Barnaby!